Ever heard of Cheat Sheet or God Mode? 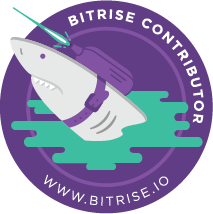 We usually used to do this stuffs while playing games where we do something or enter some secret code and we get all the powers and lots of life to be unbeatable in the game. Lame but still fun and exciting. 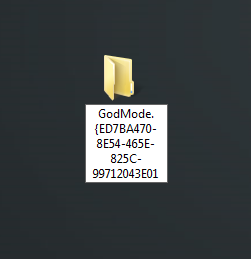 One of the windows secret for Windows 8 and (or Windows 7) is the "God Mode". 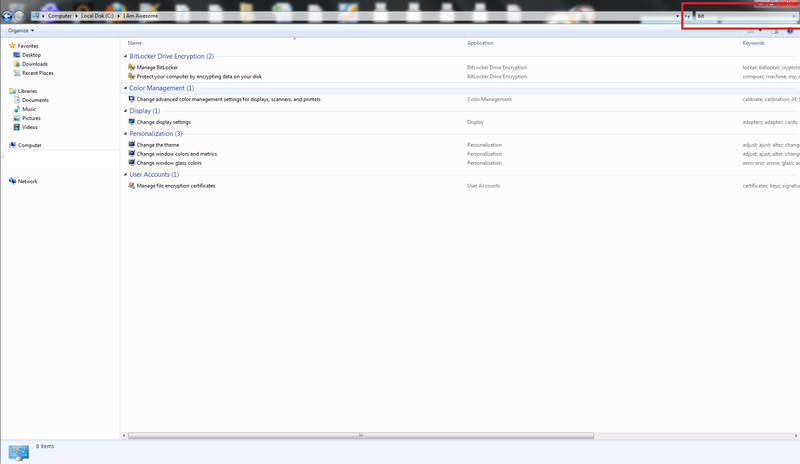 Its a folder equivalent to control panel on the machine and it "unlocks" a set of secret features all in one place, in one folder. Note: This works for me on Windows 7 and Windows 8 machine, but while doing the copy - paste thing windows injects a extra dash between the last set of 12 characters, so verify it and remove the same to make it work. 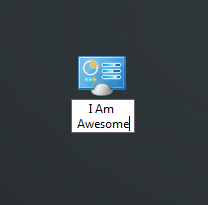 It automatically take icon of control panel. 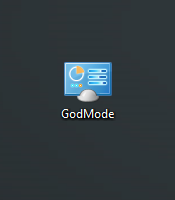 "God Mode" it feels a bit odd, right? 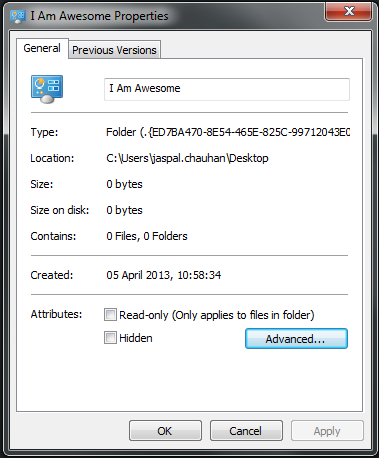 Let's say if I can call it "I Am Awesome", yes you can. Cool huh. 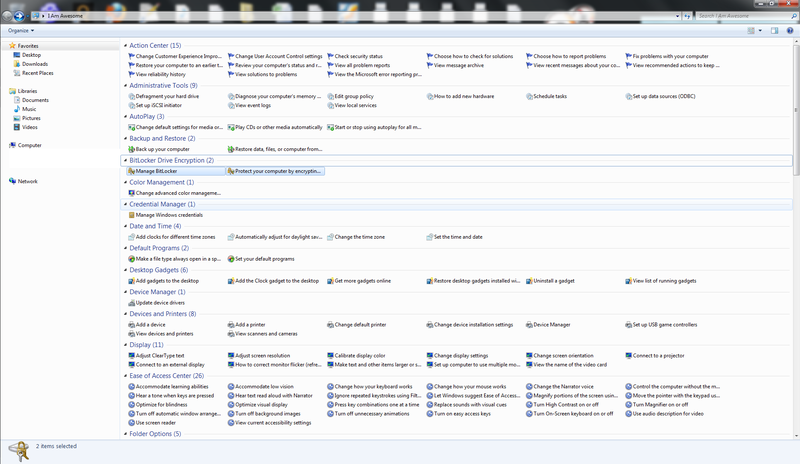 This folder consist of all the options to manage your machine and control each feature available on your OS. 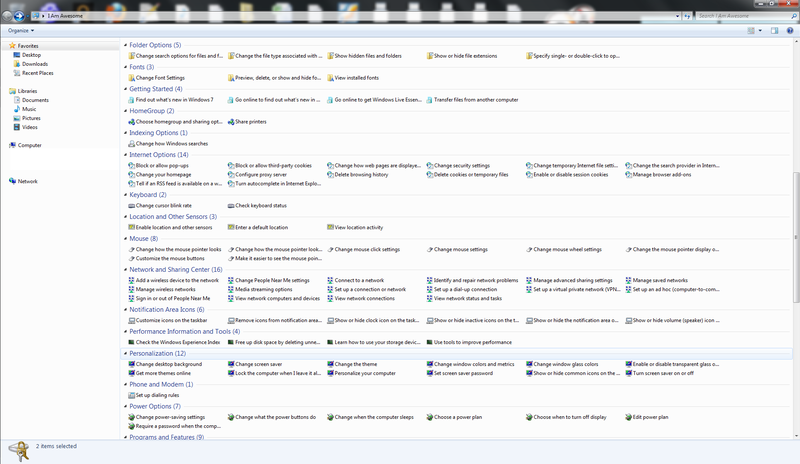 Its like the whole control panel in one folder. 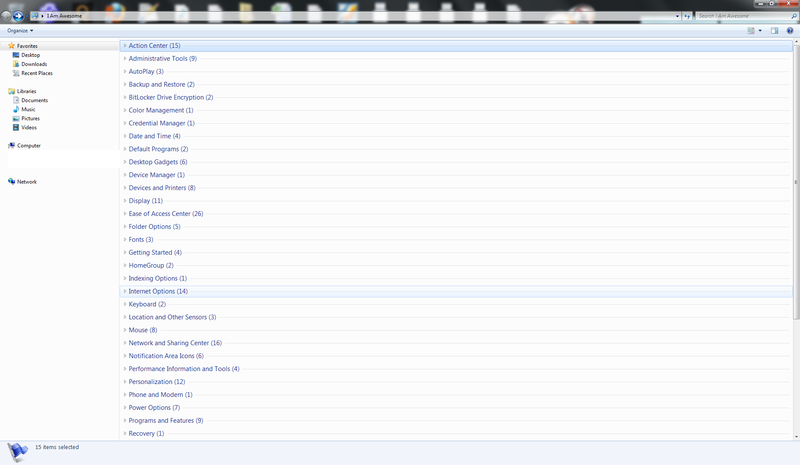 and hey, you can search for things too, e.g. I am trying to find Bit Locker - bit. 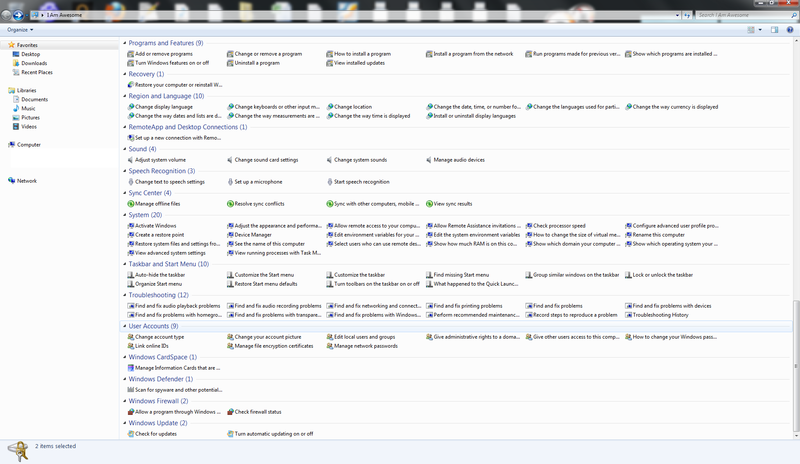 Its just a different view for all task in control panel. 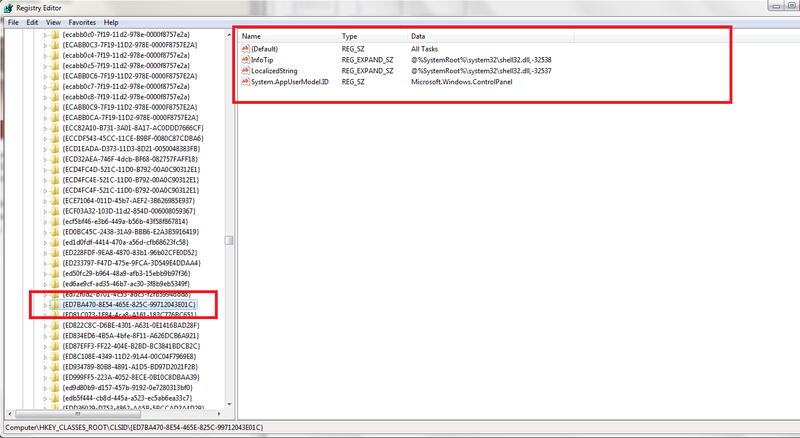 You can see the same ID in the registry and verify that.